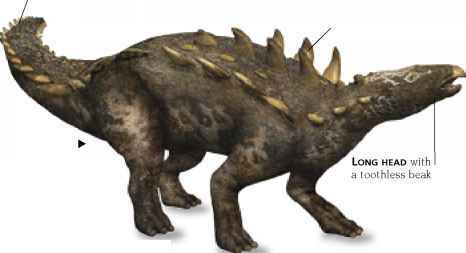 The warm, damp climates that had developed in the Jurassic continued into the Cretaceous Period, enabling the dinosaurs and other reptiles to keep evolving new forms as older ones became extinct. Some groups like the giant sauropods became less prominent, but many others flourished until the mass extinction at the end of the era. Meanwhile, the supercontinents of Laurasia and Gondwana were breaking up and very high sea levels flooded many continental areas that are now dry land. The carnivorous theropods evolved into agile, pack-hunting forms like Velociraptor, as well as giant tyrannosaurs. 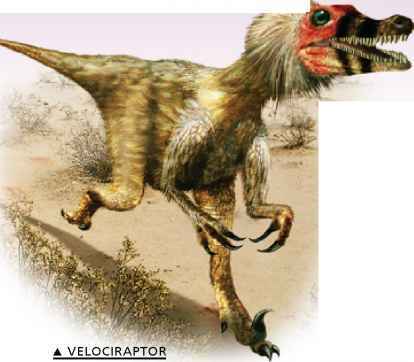 Recent research shows that Velociraptor may have had feathers. The shifting plates of the Earth's crust opened great rifts in Laurasia and Gondwana, ripping them apart to form the basis of the continents we recognize today. The Atlantic began to open up as the Americas were pulled west, away from Europe and Africa, but India had still not collided with Asia. The ichthyosaurs had virtually died out by the Cretaceous, and their place was taken by giant marine lizards called mosasaurs. Mosasaurus had jaws like a crocodile, but paddlelike limbs.